Request residential and commercial real estate information. Your request will be shared with approximately three local realtors specializing in the type of real estate you are interested in. …offers a lifestyle to be envied. The inviting communities of Sedona, nearby Village of Oak Creek, majestic Oak Creek Canyon and the more remote neighborhoods west of town feature magnificent, panoramic views, but they also offer an astounding array of additional attractions and services for residents and visitor alike. 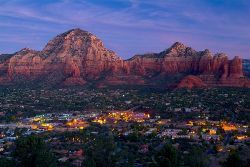 Considering relocating your life or business to Sedona, Arizona? The following information will answer many of your questions and provide the connections you need to learn more and become engaged before you arrive. For information on utilities, post office, libraries, transportation resources, parks and public lands, and other services for getting settled, view our Hometown Guide. For a list of businesses ready to welcome and serve you, start with the Sedona Chamber of Commerce & Tourism Bureau’s Member Directory. To find out more about all Sedona has to offer residents and visitors, browse the Experience Sedona Visitors Guide. View a list of local job postings. The community of Sedona straddles two counties – Yavapai County and Coconino County. Ask your realtor or neighbor in which side of the line you are. Prescott is the county seat for Yavapai and Flagstaff is the county seat for Coconino. 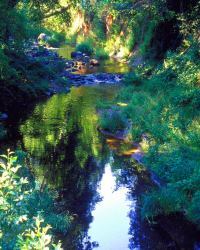 The Village of Oak Creek is an unincorporated community about 5 miles south of the City of Sedona. To see a list of schools and other educational institutions, click here. Sedona has access to a myriad of traditional and alternative health care options. Northern Arizona Healthcare is the parent corporation of Flagstaff Medical Center, Verde Valley Medical Center, and Sedona Medical Center. Whereas the Flagstaff and Verde Valley hospitals include complete inpatient services, Sedona Medical Center is an outpatient facility specializing in primary healthcare, emergency services and cancer treatment. Northern Arizona Healthcare provides additional services, including emergency search and rescue complemented by a medical evacuation helicopter. Residents of Sedona also are served by numerous skilled practitioners who operate in private offices and clinics throughout this immediate area, as well as walk-in clinics providing minor illness or accident care on a non-appointment basis. View a list of Sedona Medical & Healthcare providers. To view a list of local associations & organizations, click here. Learn more about some of the Sedona area non-profits and their needs and volunteer opportunities by visiting SedonaWishList.org. View a list of local churches and places of worship. To enjoy local specials and coupons, view our Sedona coupons. Have a good time at a local event. Join the Sedona Chamber of Commerce & Tourism Bureau. Click HERE for a list of utilities, trash and recycling companies. Click HERE for a list of radio, television and cable companies. Watch the Sedona NOW network online. Watch video segments about local businesses and attractions on Red Rock TV – Channel 16. Subscribe to the Sedona Red Rock News family owned local newspaper, printed twice weekly. Subscribe to the Verde Independent and read their KUDOs weekly magazine about things to do in the Verde Valley. Contact us at the Sedona Chamber of Commerce & Tourism Bureau at 800-288-7336 or email info@sedonachamber.com. Contact one of our member real estate professionals who can provide valuable insight on relocating and living in Sedona. The Sedona Chamber of Commerce presents access to this information as a public service and as a service to our members and community partners. The Chamber assumes no responsibility for errors, changes or omissions in the information provided, nor for the products or services provided.